Ulti-MATE Garage PRO offers custom shop cabinet features, contemporary design and industrial strength to meet needs of the most discerning customer. 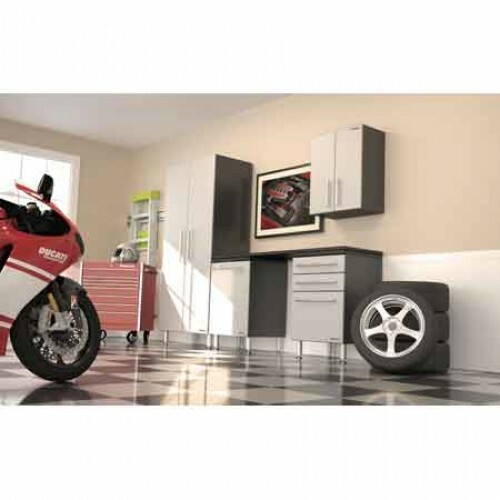 Ulti-MATE Garage PRO 5-piece deluxe kit and one of our most popular kits, tranforms garage into a functional and fun room again to enjoy in ultimate contemporary style like no other cabinet line. 100-year old first class manufacturer and much more. Ulti-MATE Garage PRO 3-Piece Tall Cabinet Kit MSRP: $1950.00 Our Price: $1575.00 YOUR Sa..
Ulti-MATE Garage PRO 11-Piece Super System MSRP: $3775.00 Our Price: $2995.00 YOUR Savi..
Ulti-MATE Garage PRO 9-Piece Deluxe Cabinet Kit MSRP: $2975.00 Our Price: $2395.00 YOUR ..
Ulti-MATE Garage PRO 7-Piece Deluxe Cabinet Kit MSRP: $2395.00 Our Price: $1925.00 YOUR S..